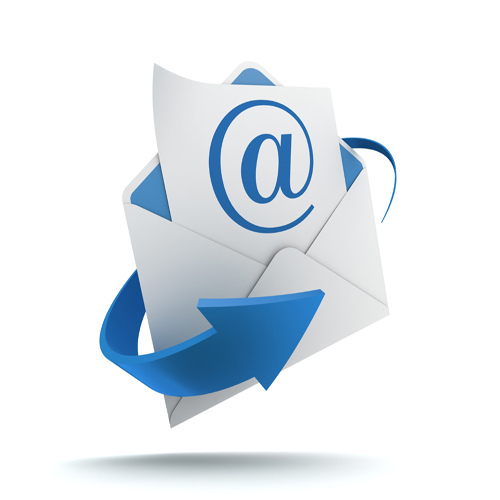 An email gone astray can provide fascinating insights for an unintended recipient. Written correspondence has undoubtedly fallen into the wrong hands since homo sapiens first put pigment on bark, but never before has it been so easy to have a personal message go awry. No longer is it a matter of surreptitiously steaming open sealed letters or snooping around in wastepaper baskets. Finding out another’s personal business is now just a click away. Even more conveniently, candid opinions can sometimes make an unscheduled landing in your inbox, making for intriguing reading — as I recently discovered. I’m soon leaving the idyllic place I’ve called home for the past decade and moving to an equally idyllic part of regional Australia. Months ago, I’d sent out feelers regarding possible GP jobs and had emailed a particular practice principal a couple of times, expressing my interest. When it looked likely that I was going to pursue a different path, I sent a polite email explaining the situation and telling him I wouldn’t be seeking an interview for a job at his practice at present. An email bounced back saying that my not wanting to work for him may be “a relief” as I “sounded a bit intense”. It was sans salutation but, based on the rest of the content, was obviously intended for one of his work colleagues. It had no doubt been a simple error of his pressing ‘reply’ rather than ‘forward’. I was chuffed: I’ve never been called “intense” before, at least, not to my knowledge. Perhaps there are several references to my intensity bouncing around cyberspace but this is the only one my inbox has ever captured. I’ve never considered myself an intense person. To me, the term conjured up the image of a passionate yet very serious type, often committed to worthy causes. Perhaps I had the definition wrong. I looked it up. The Oxford Dictionary gave me: “having or showing strong feelings or opinions; extremely earnest or serious”. Unfortunately, I couldn’t reconcile my almost pathologically Pollyanna-ish outlook, enthusiasm, irreverence and light-heartedness to this description — nor my somewhat ambivalent approach to politics, religion, sport, the environment and other “serious” issues. At least the slip-up was minor. Several years ago, I unintentionally managed to proposition one of my young, shy GP registrars by way of a wayward text message. He had the same first name as my then-husband. Scrolling through my phone contacts late one night, alone in a hotel room at an interstate medical conference, I pressed one button too many. Hence this innocent fellow received not only declarations of love but a risqué suggestion to go with it. Not the usual information imparted from medical educator to registrar! It took me several days to realise my error, but despite my profuse apologies, the poor guy couldn’t look me in the eye for the rest of the term. If I was “intense”, I would conclude on a ponderous note — with a moral message that would resonate with the intellectually elite. Alas, I’m a far less serious kind of girl and, as a result, the best I can up with is: Senders of emails and texts beware — you are but one click away from being bitten on the bum.